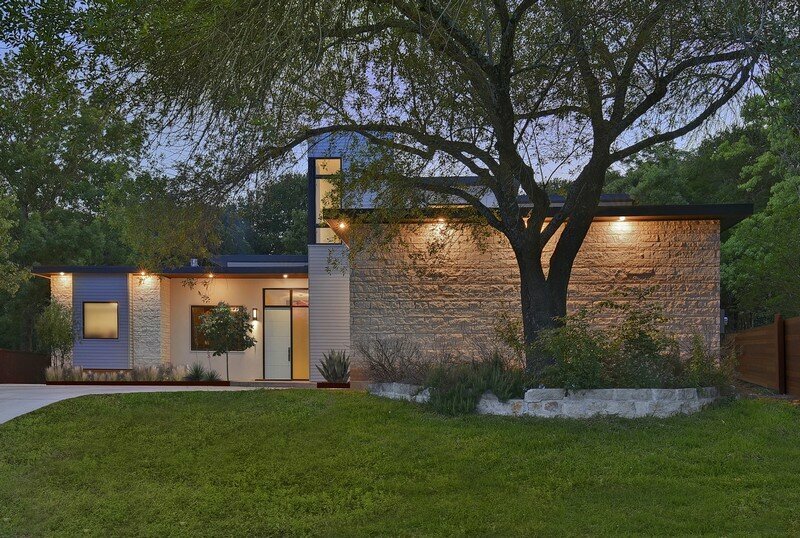 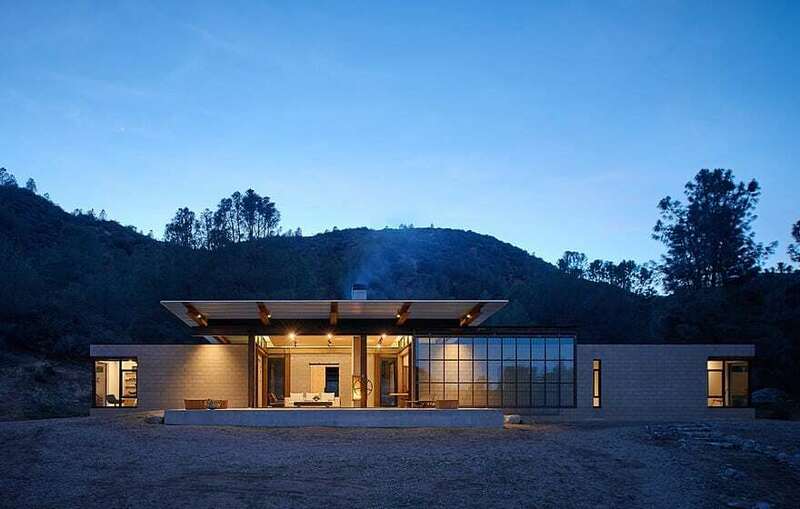 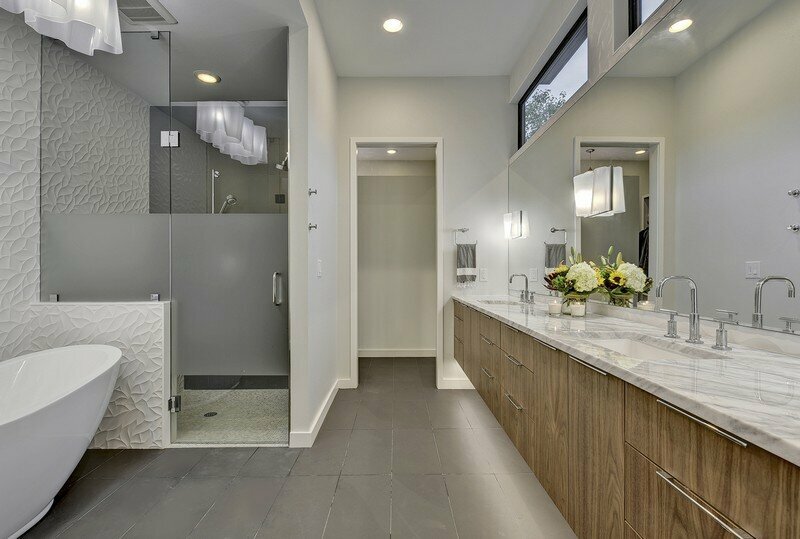 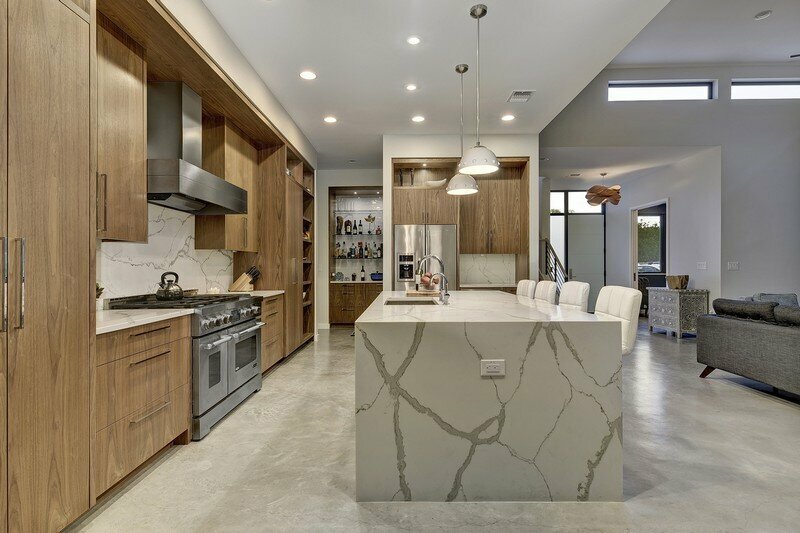 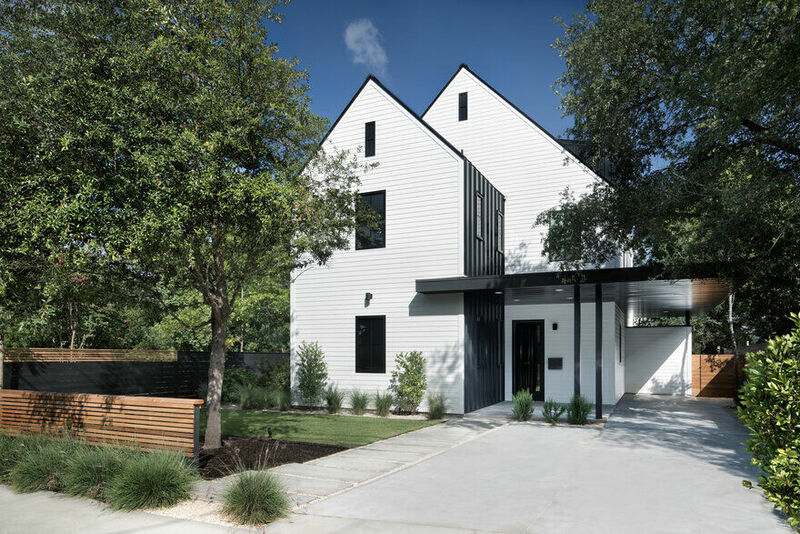 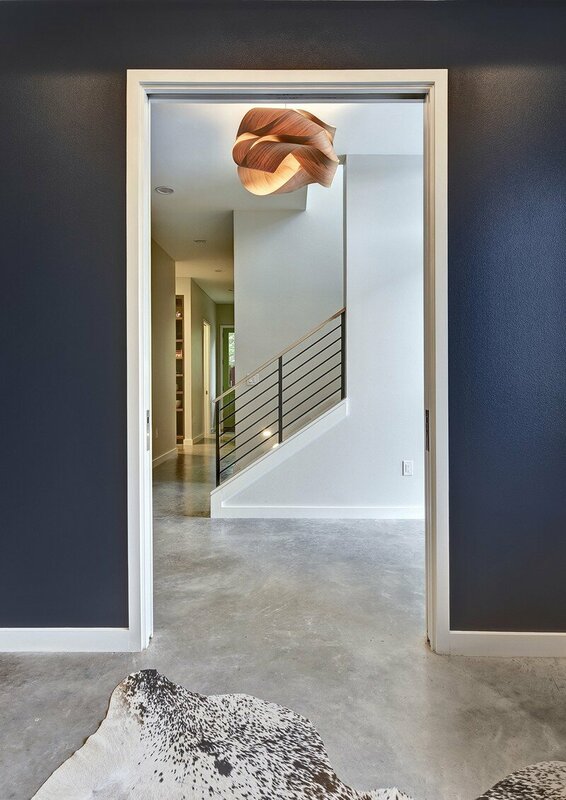 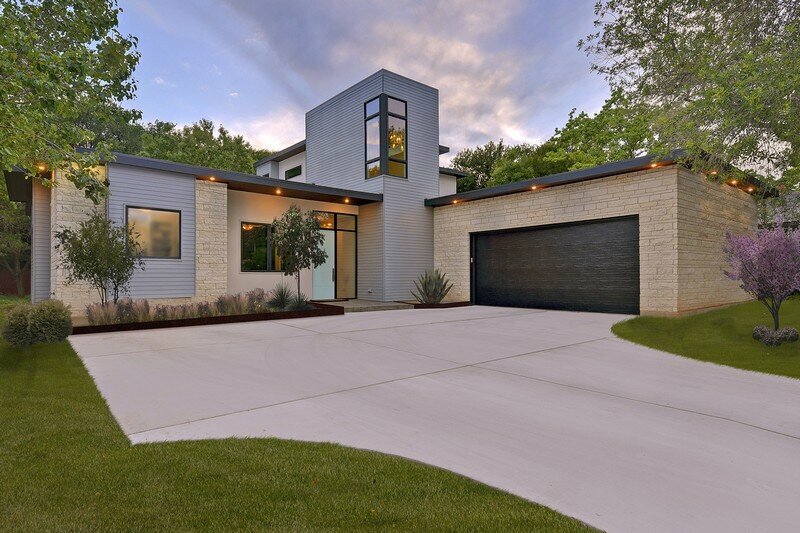 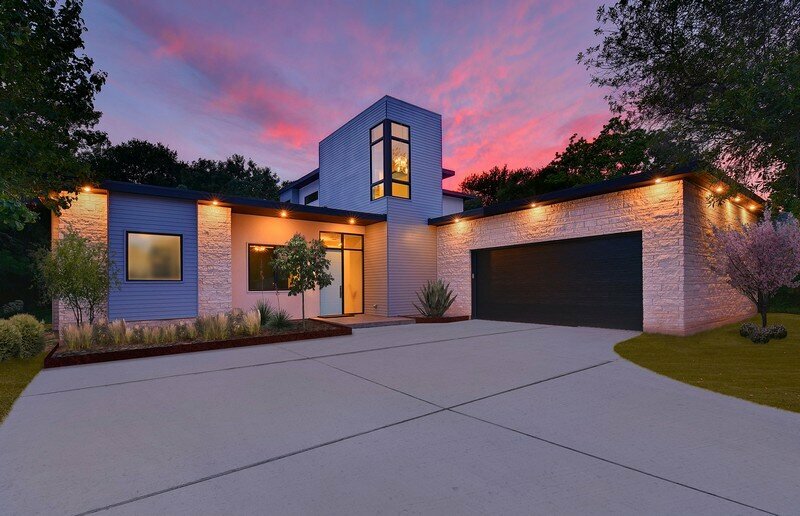 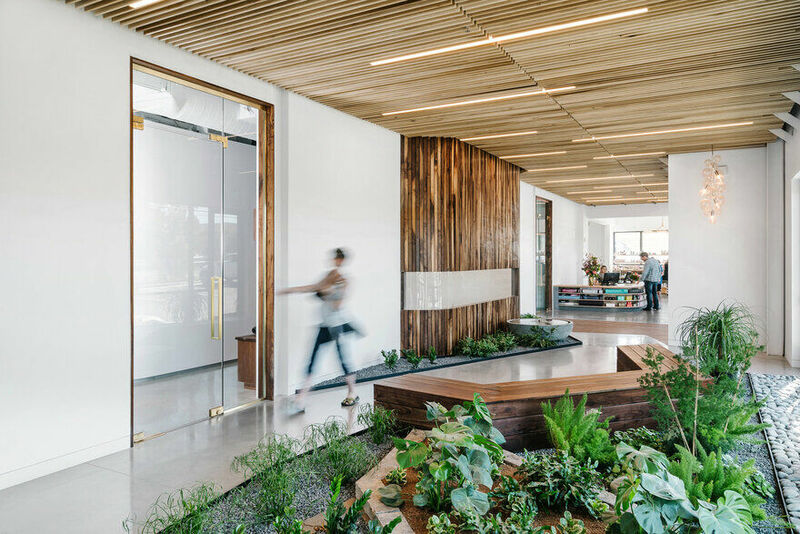 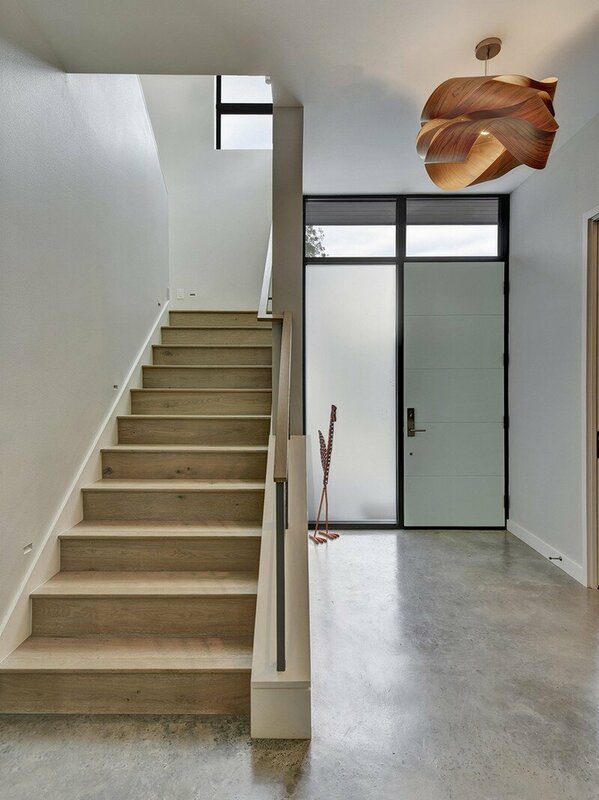 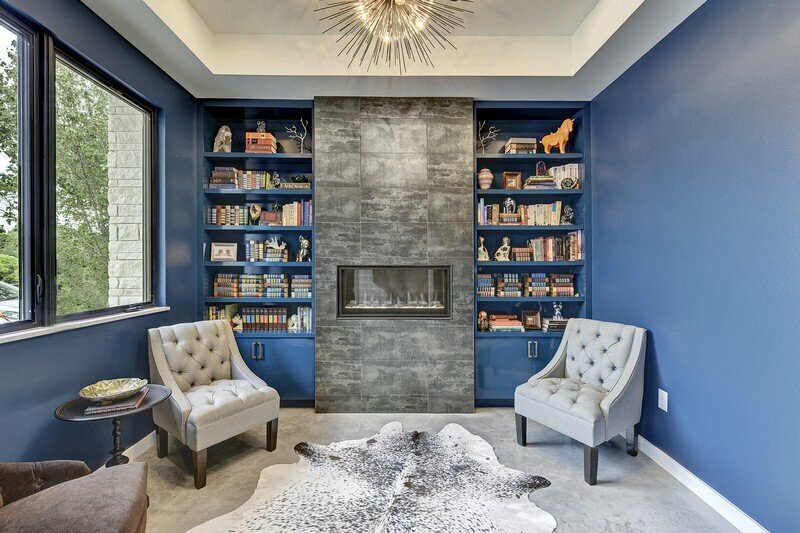 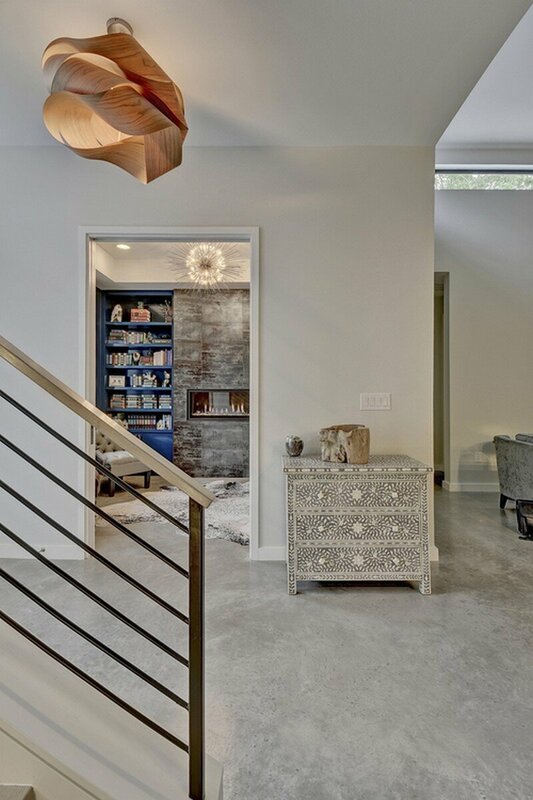 Designed by Matt Fajkus Architecture, the Dusky Thrush House is a single-family residence in west Austin that expresses modernity while complying with strict Home Owner’s Associate (HOA) rules. 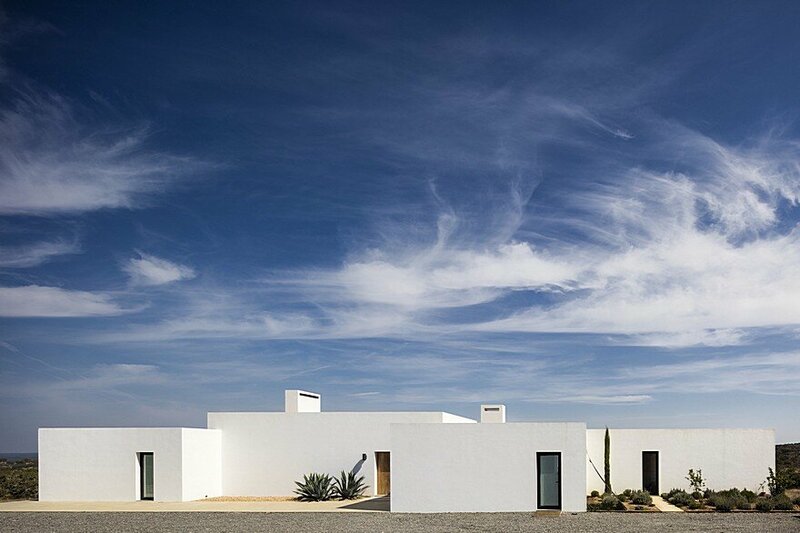 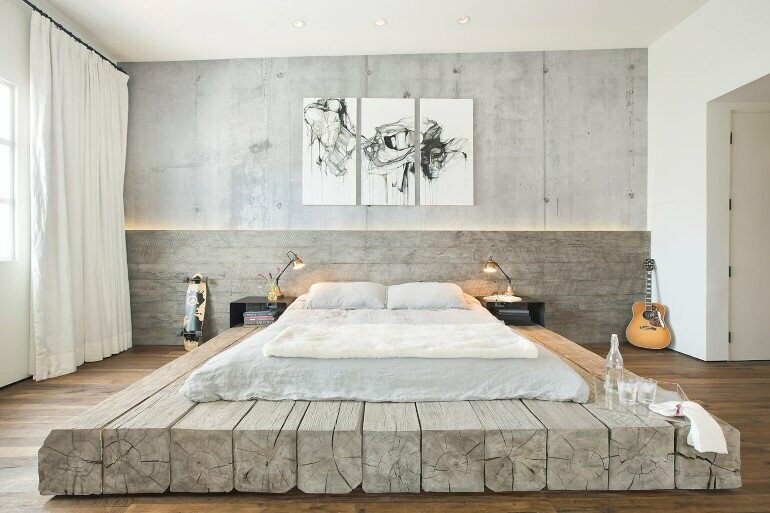 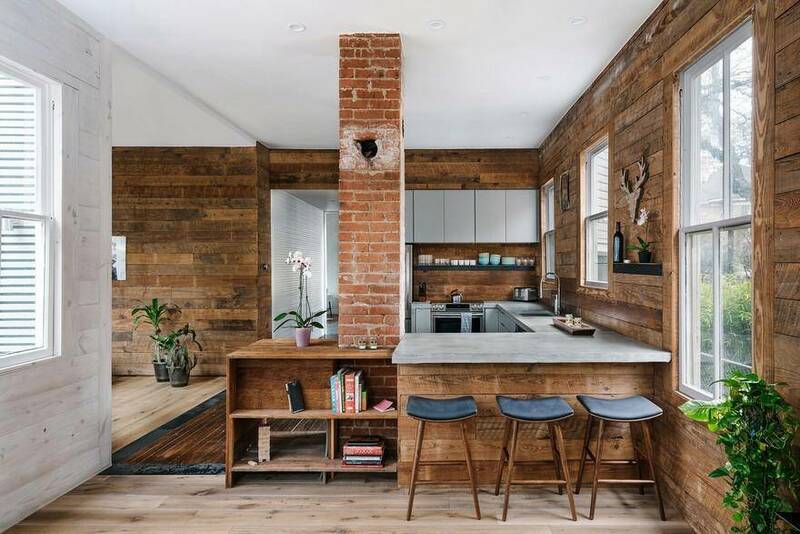 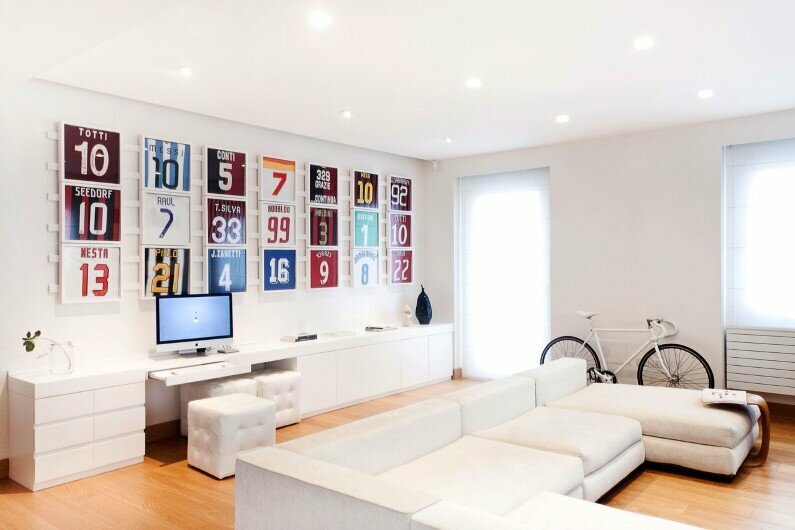 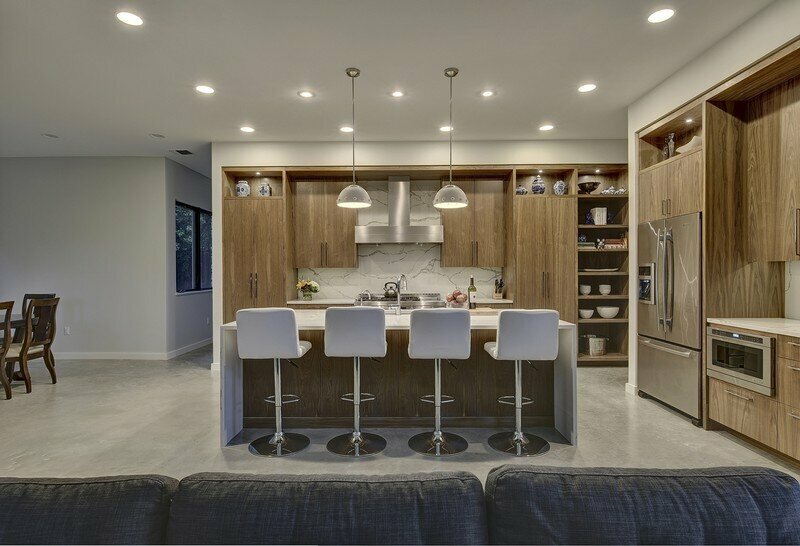 The client enjoys frequently hosting and entertaining guests and the kitchen/dining/living area is therefore designed to be the core of the house. 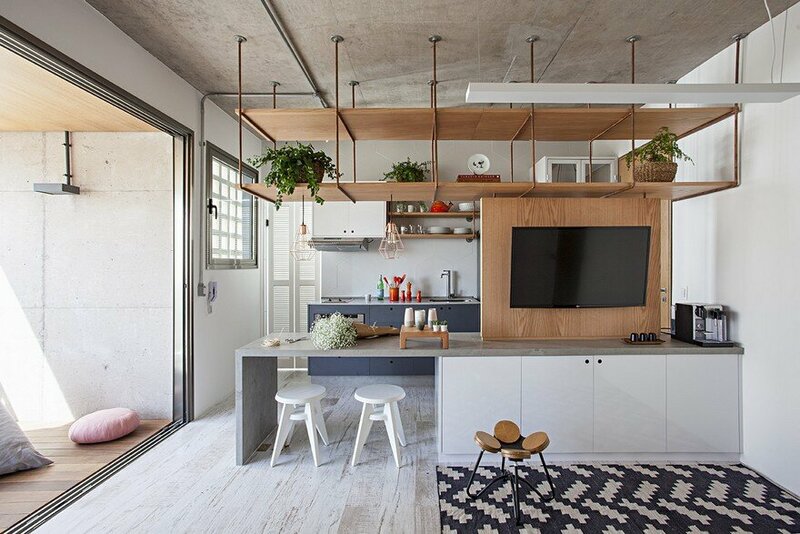 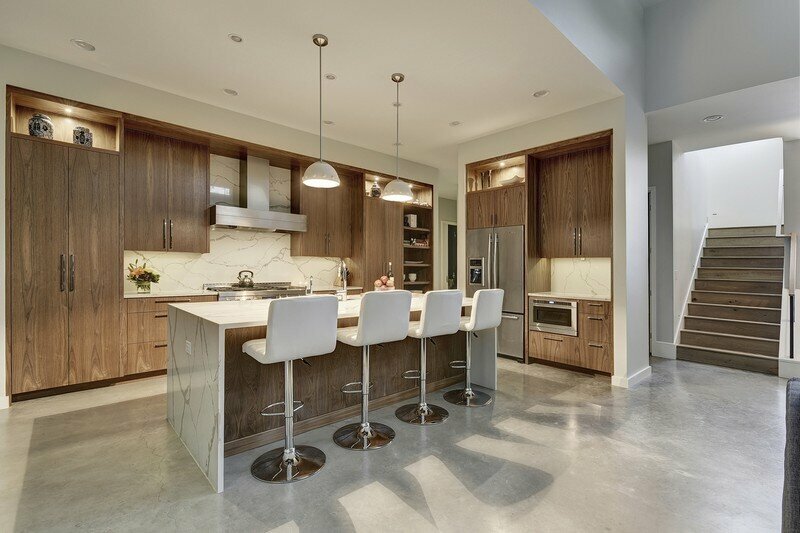 The kitchen island has visibility to and is accessible from all the spaces in the public zone. 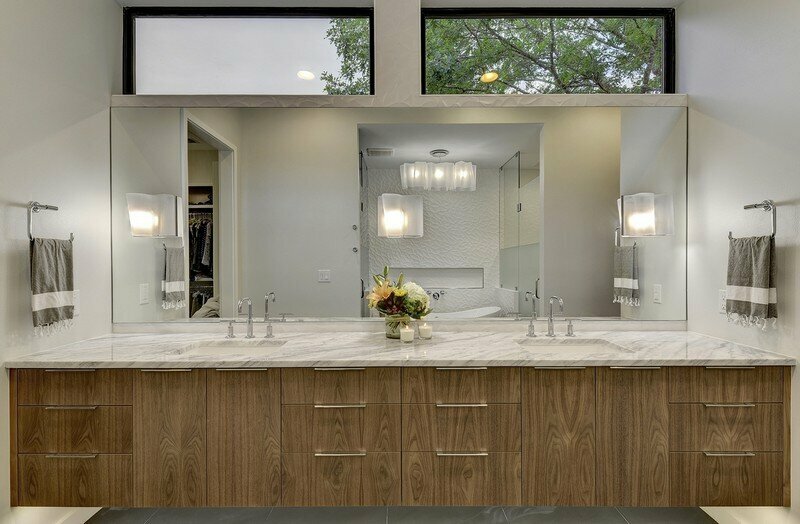 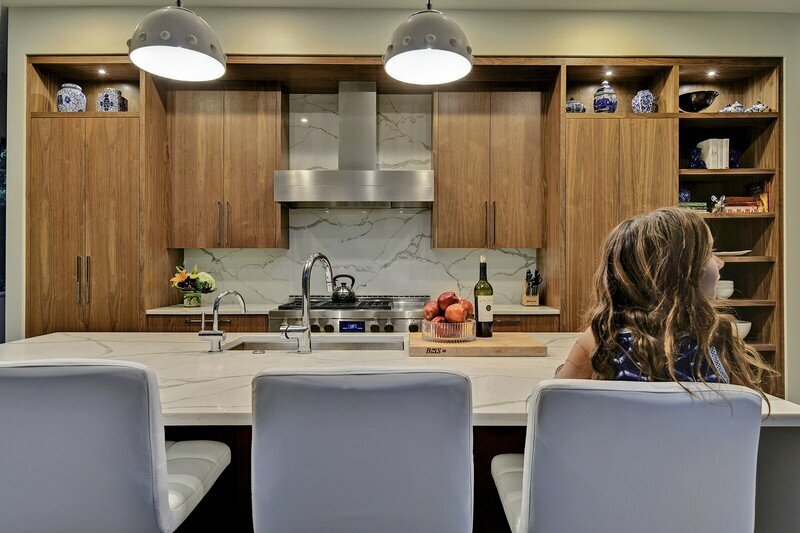 A built-in bar and a butler’s pantry adds extra prep surfaces and storage cabinets while maintaining a clean and modern style. 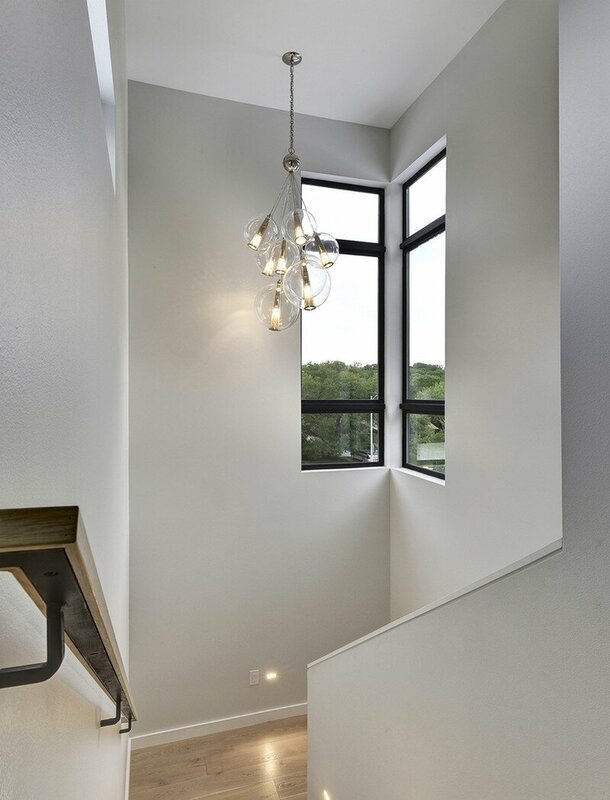 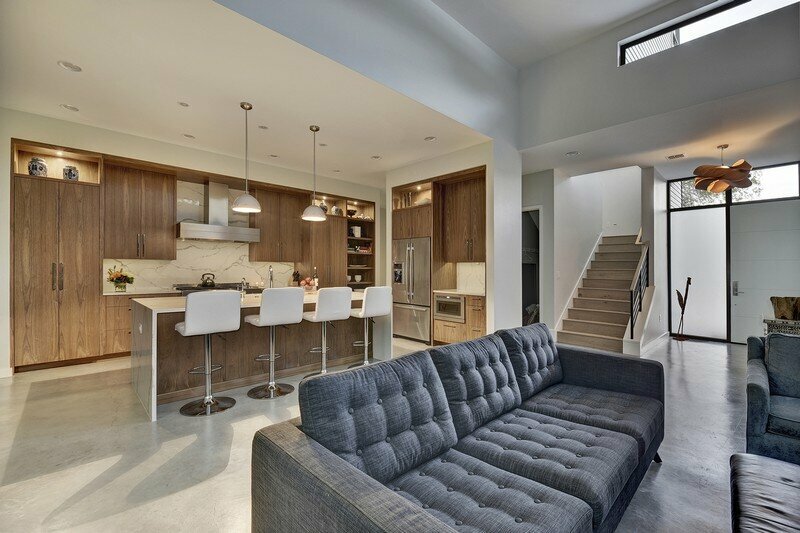 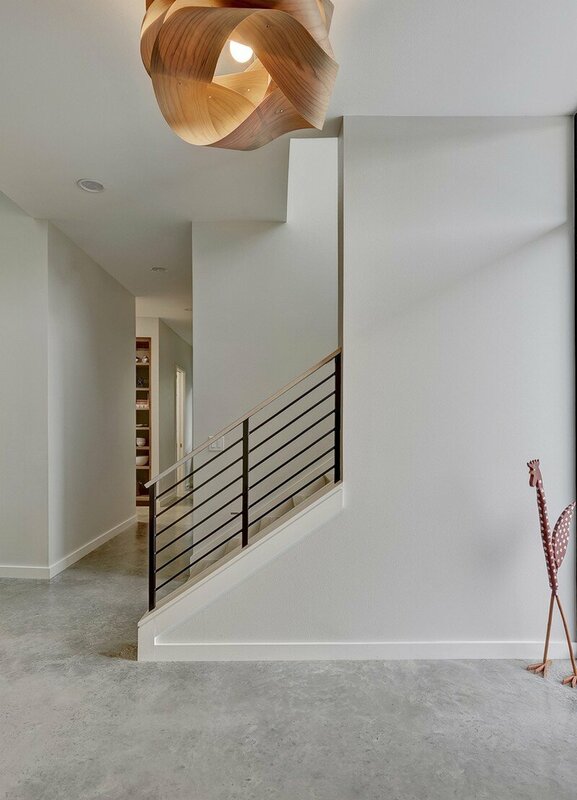 A change in ceiling level at the kitchen and living areas provides an opportunity for clerestory windows, and the staircase is featured with corner windows, strategically located to welcome more natural light into the center core of the house. 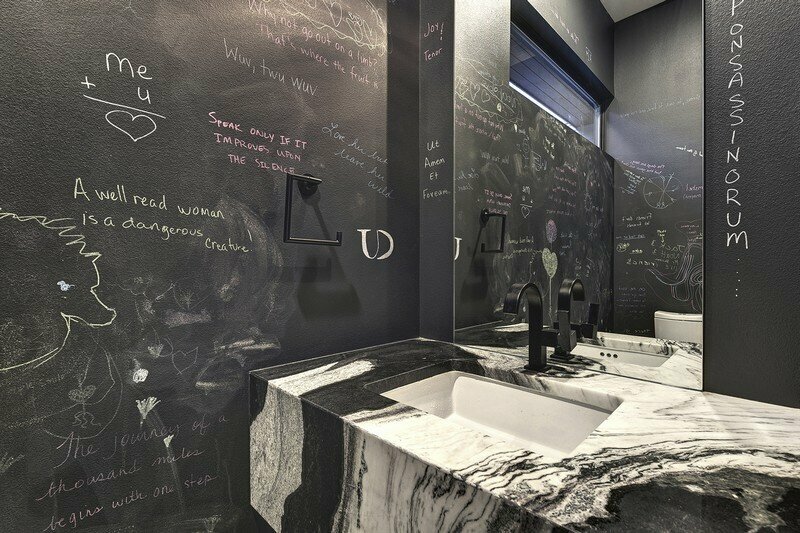 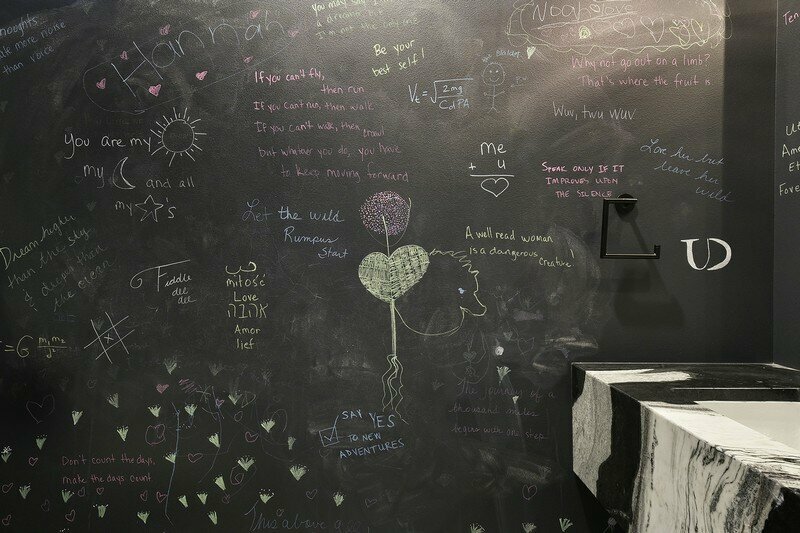 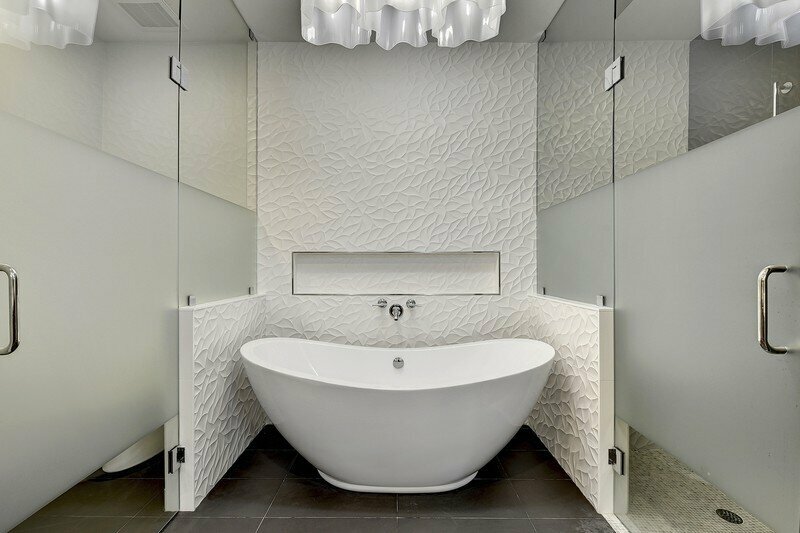 The chalkboard wall in the guest bathroom reflects the host’s fun-loving spirit, while the simple and elegant master bathroom offers a place of relaxation.